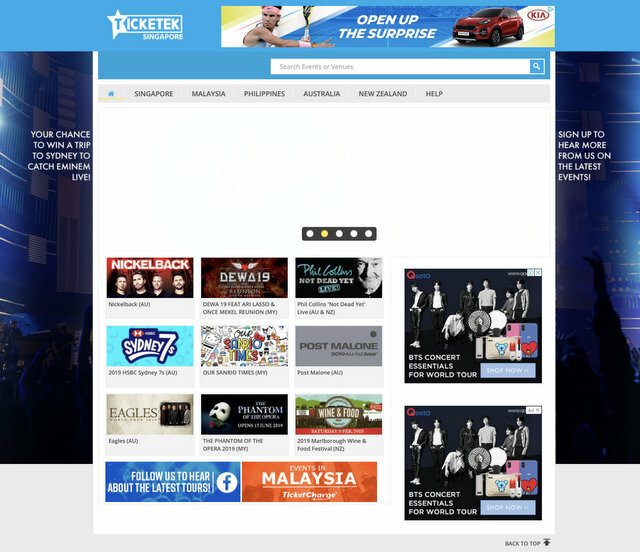 TEG integrated live entertainment company has launched Ticketek Singapore, a new ticketing portal for live entertainment fans in South-East Asia. This ticketing platform will list a wide variety of events in Singapore, Malaysia and the Philippines. It will include events in other South-East Asian markets in the future. Ticketek Singapore will also include live touring activities of TEG including the top tier international acts under the TEG Dainty banner and the TEG Live banner’s sports, family, music and exhibitions. TEG has brought in WWE and Michael Bublé to Singapore previously. TEG’s asia pacific business includes Ticketek, TEG Live, TEG Dainty, TEG Analytics, TEG Insights, TEG Digital, Softix, Qudos Bank Arena, Eventopia, Life Like Touring, The Entertainment Store, Brickman Exhibitions and TEG Asia.www.teg.com.au.